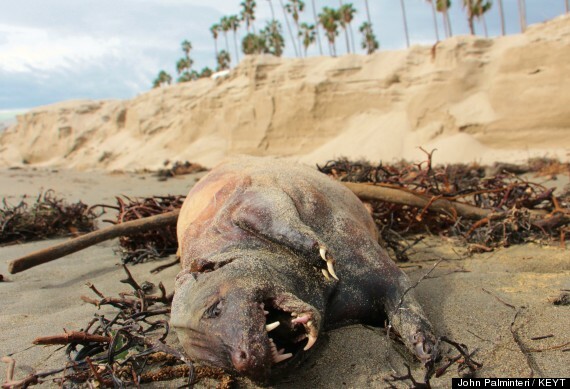 Strange Creature Washes Up On Santa Barbara Beach. Last week, John Palminteri, a senior reporter for KEYT, stumbled across something very strange as he was reporting on a story of the fallout from a recent storm. Palminteri posted this photo online encouraging people to give their opinion on what they thought it was. Some say it’s a badger, pig, alien or extremely large rodent. However, it still remains a mystery that has been left unsolved. What do you think it is? Share this photo with your friends and get their opinion! Proof That The Government Controls The Media – MUST WATCH!